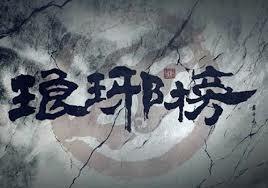 Nirvana in Fire / Lang Ya Bang is a Chinese novel originally published on online around 2007 by Hai Yan. Shandong TV group bought the right for making drama adaptations around 2010. The drama was aired in Sep. to Oct. 2015 and is available on Youtube, and the English-subbed version is on viki. The screenplay writer is Hai Yan herself, so the drama was very closely adapted to the novel. However, Hai Yan did delete some characters in the drama. I will try to translate this novel here to share with anyone who is interested. 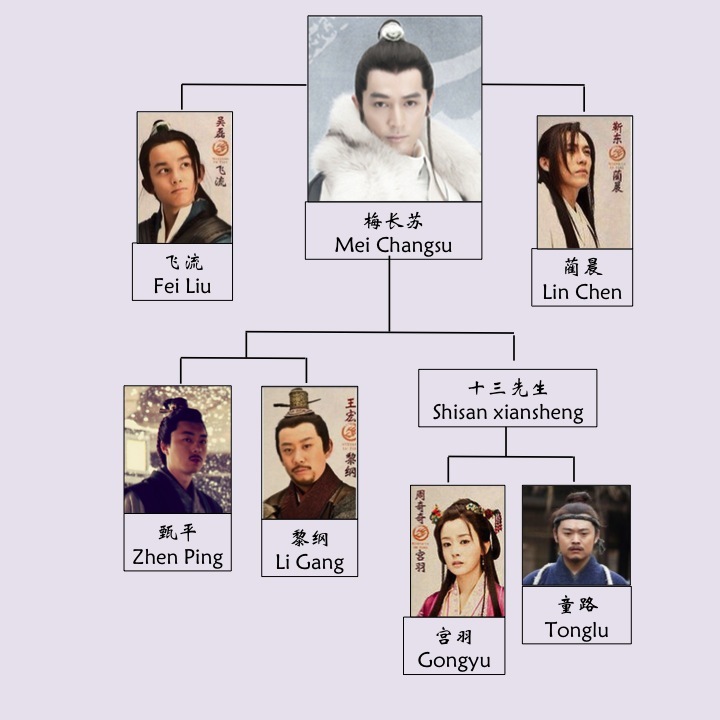 During Liang Dynasty, a mysterious young man, Mei Chang Su, was appointed by Lang Ya Hall to be the person who had the incomparable talent and was able assist the person whoever own him to become the emperor. In the imperial city, the two princes fighting for the throne were both trying to get Mei Chang Su under their wings. Using the name as Su Zhe, Mei Chang Su came to the capital city, played around among the princes, generals, and other royals, ultimately assisted the least favored prince, Xiao Jing Yan, to be the final winner of the throne, but the real purpose behind all these political maneuvers was about the bloody battle happened 13 years ago at the Plum Ridge. Mei Chang Su’s real identity was the young general Lin Shu. His family and 70,000 other solders of Chia Yan Army were framed and killed in that battled. With his detailed plan and the help from Xiao Jing Yan, Mei Chang Su was finally able to bring justice to his family and army. Although most of synopsis of this drama says it was during 4th century of China, the story of the novel actually happens in a dynasty that was created by Hai Yan. The background of this novel, as well as the drama, is not any part of real Chinese history, but rather a combination of various elements from different time periods. This is a common way of writing novels with ancient historical backgrounds. On one hand, history fans will not criticize on the historical facts, on the other hand, the author can use any elements in the history to create his/her story without the limits of historical settings but still make it to feel in the ancient times. 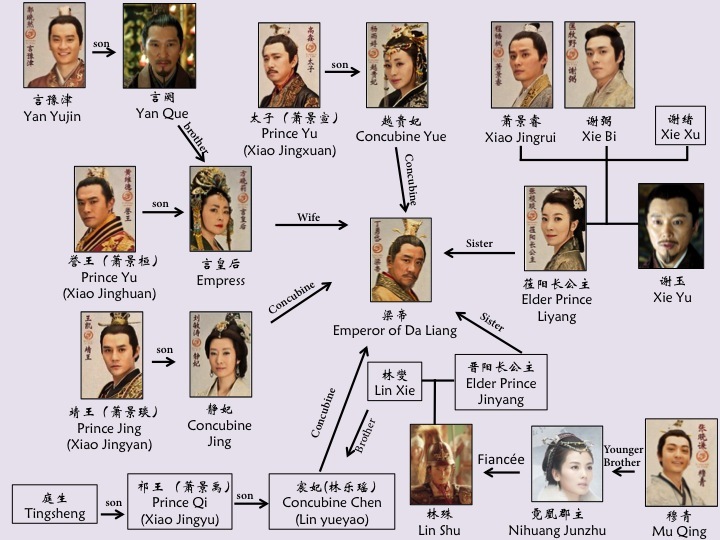 In this novel, for instance, based on the surname of the emperor and the name of the dynasty, the story was likely to be happening during Southern Liang dynasty (around 4th century B.C. ); however, the period when Yunnan was a state of China and having its own military power is like to be during early Qing dynasty (around 17th century B.C.). 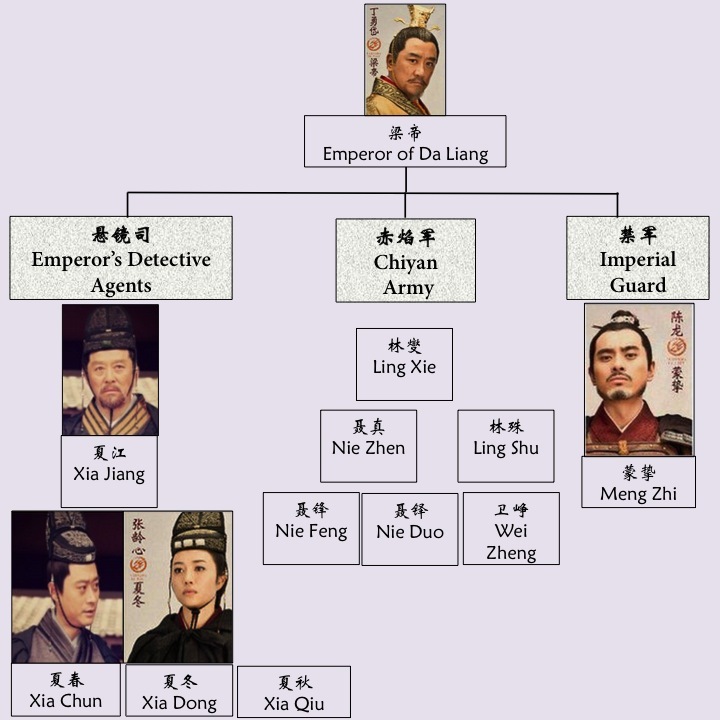 The time when Chinese emperor has its own detective agents who are only responsible for the emperor was during Ming dynasty (around 14th -17th century, B.C.). So, there is no need to figure out exactly when the story happened, what you need to know is the empire in this novel is called Liang. This novel is about friendship and brotherhood. It does have some male/female love stories involved, but they are not the main focus. There are many characters in this novel. The following are a few charts about the relationship of the characters in the novel (there might be some differences regarding the characters in the drama). This novel has three versions so far (It is common for online novels to have multiple versions). There are some differences among the 3 versions. The 1st is the original version that Hai Yan posted online. In the 2nd version, she started from chapter 14 of the 1st version, then went back to talk about most parts in the first 13 chapters. The first 13 chapters talk about how the main character Mei Changsu meet several other people and why he decided to go to the capital city in more details, but it could be a slow start for some readers. Other parts of the novel are pretty much the same between the two versions. The 3rd version has a bit more added in the last a few chapters than the 2nd version. I knew junjuntianxia is doing the translation of the 1st version, but has paused for a while, so I will start to translate the 2nd version. The novel was published on http://www.qidian.com. This novel has 174 chapters! I will try to translate as much as I can and add that additional part of 3rd version to the translation if I am ever able to make it to the end. This is the first novel that I ever decided to make the effort to do the translation. Having no other experiences in translation, I am not sure how well I can deliver the messages from the novel. So please bear with me if you get confused. I am happy to answer questions. If you have read the Chinese version and have suggestions, please leave comments. I am happy to revise the translation to make it better. As the producer of Lang Ya Bang/Nirvana in Fire TV episodes, I proudly recommend this novel and wish everyone following Hai Yan’s magical words, and enjoying this wonderful journey. This translation is for my own interest, not for any commercial purpose. Thanks for explaining the historical reference and the difference between one and two.